Our photovoltaic modules offer industry-leading performance, durability, and reliability for a variety of electrical power requirements. Using breakthrough technology perfected by many years of research and development, these solar panels incorporate an advanced surface texturing process to increase light absorption and improve efficiency. Solar cell comes in many grades and we only use grade A solar cell for our solar panel! Common applications include cabins, solar power stations, pumps, beacons, and lighting equipment. Designed to withstand rigorous weather conditions, a junction box is also provided for easy electrical connections in the field, making SC Origin solar panels the perfect combination of advanced technology and reliability. How to calculate and size solar panel? How our QC Engineer testing our Industrial grade solar panel? 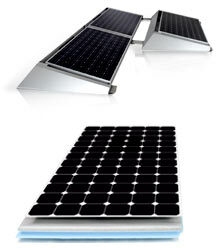 We also carry other watts size of solar panels, please kindly contact us for more detail.